Every year, 3.2 million acres of forested land are destroyed worldwide, according to the Nature Conservancy. The beauty of these areas is forever lost through development that takes place on the cleared land. The loss of pine forests causes devastating effects to the environment that will be felt for many generations to come. Pine trees prevent erosion because the roots of the pine tree hold the soil in place. When areas are deforested, pine trees and their roots are removed leaving the soil vulnerable to cracks and gaps. Water then enters these cracks and washes away the soil, leaving large holes and ditches. Pine trees along riverbanks keep the soil intact when water levels rise, and prevent the riverbanks from collapsing under the pressure of the flood waters. Pine trees also control erosion on hillsides, especially those that have large water runoff after heavy rains. Trees help improve air quality by emitting oxygen. 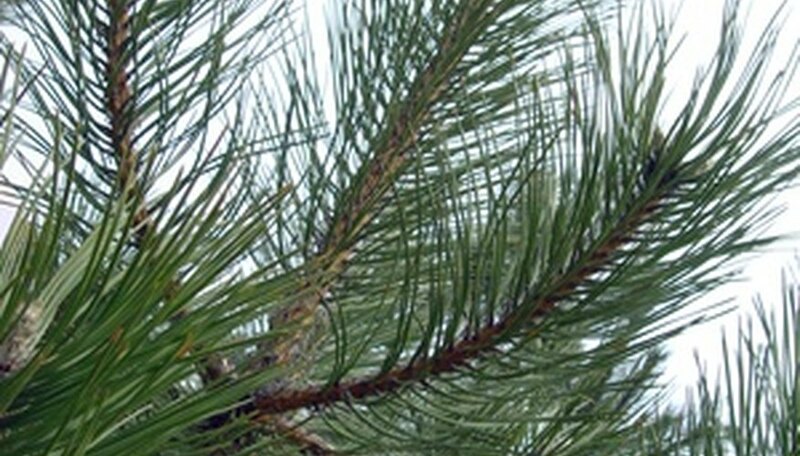 A 2009 Duke University study shows that pine trees grown in higher carbon dioxide levels produced twice as many seeds as pine trees grown in normal carbon dioxide levels. For 12 years, a group of loblolly pines were artificially given 1 1/2 times the normal amount of carbon dioxide. The seeds of these loblolly pines were the same or better quality as those grown under normal carbon dioxide levels. Carbon dioxide levels are expected to increase in the next few decades, according to Duke University scientists. Pine trees will inevitably play an important role in absorbing this carbon dioxide and providing better air quality. Pine trees are a habitat for many types of wildlife. Squirrels often use them as a shelter because they like to collect and bury pine cones. Rabbits, chipmunks, raccoons and skunks use the lower branches of pine trees for shelter against rain and snow and for shade during the summer. The red cockaded woodpecker, which is an endangered species, makes his home in pine trees, especially in the southern U.S. Other birds such as robins, blue jays, cardinals and swallows make nests in pine trees. Beaver enjoy cutting down pine trees to make dams, while deer like to walk through pine-laden forests. Pine trees strategically placed near homes could save hundreds of dollars in energy costs each year. Mature pine trees give off shade during the summer, reducing the need for air conditioning. In the winter, pine trees serve as a windbreak, which may keep the house warmer and reduce heating costs. Trees should be planted 20 to 30 feet from a house or garage so that roots will not interfere with the foundations. Some varieties to plant for energy efficiency include cypress, blue spruce, loblolly pine, white pine and shortleaf pine.